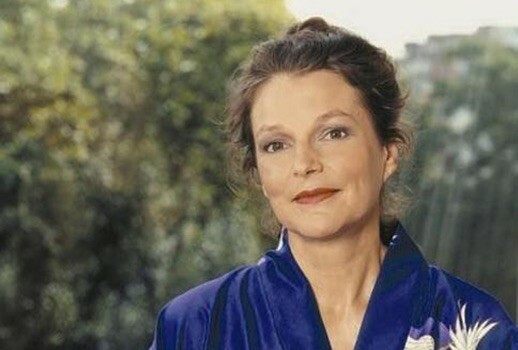 This Sunday marks the 10th anniversary of the death of Lorraine Hunt Lieberson from breast cancer, and “Trove Thursday” salutes this remarkable artist by offering one of her final performances—her haunting Waldtaube in Schoenberg’s Gurrelieder conducted by James Levine, also featuring Karita Mattila and Johan Botha as Tove and Waldemar. Having devoured the ecstatic reviews for Peter Sellars’s production of Handel’s Orlando in Boston, I had to be at the 1985 PepisCo Summerfare for his new Giulio Cesare. It proved to be one of the most memorable things I’ve ever seen in an opera house partly because it introduced me to the then-unknown Hunt Lieberson whom I would be privileged to see perform more than a dozen times after that. People tend to toss around the term “relevation” rather easily, but her heartrendingly intense Sesto (who in that rare instance was allowed all five of his arias) forever changed my view of that character. The now out-of-print DVD of that Cesare is worth hunting down, if only for Hunt Lieberson’s devastating portrayal. Sellers returned to Summerfare two years later to produce his “Spanish Harlem” Don Giovanni which wasn’t particularly well received, so two years later he revised it with Hunt Lieberson of the original cast returning with her “Madonna-esque” Donna Elvira. Both seasons the top of the voice sounded tight and pressured so it was no surprise that soon she began billing herself as a mezzo. The mid-1990s brought her three indelible collaborations with William Christie—with Les Arts Florissants in Charpentier’s Médée and Rameau’s Hippolyte et Aricie and in Handel’s Theodora at the Glyndebourne Festival. Thanks to visits by LAF to the Brooklyn Academy of Music, I saw her ferocious Médée and tortured Phèdre (both also happily preseved on Erato CDs), but I know Sellars’s production of Handel’s oratorio only from the video, a most essential souvenir of Hunt Lieberson’s art. Soon it seemed like everyone was finally talking about Hunt Lieberson as two major debuts finally brought her to opera in Manhattan—her delightfully truculent yet divinely sung Serse at City Opera and her Myrtle Wilson in the world premiere of John Harbison’s The Great Gatsby at the Met (which I missed). Yet she wasn’t quite a star—I remember rows of empty seats at Carnegie Hall for an Orchestra of St. Luke’s concert where she gorgeously sang arias from Theodora and Ariodante although “Doppe notte” was rather labored. Her Mozart Sesto at City Opera was wonderfully moving as were her staged pair of Bach cantatas in yet another collaboration with Sellars. Although I admire her and think she would have made a fine Didon, I am forever grateful to Olga Borodina for having gotten pregnant and canceled her run of Les Troyens at the Met in 2003. I attended two of Hunt Lieberson’s four epic performances as her replacement (one just after a blizzard)—the last times I saw her—and they remain among my most treasured Met memories. Hunt Lieberson also sang Berlioz’s Béatrice with the Boston Lyric Opera a decade earlier—what I wouldn’t give for a pirate recording of that! Over the final decade of her life as the voice got bigger and heavier, Hunt Lieberson did more and more recitals and orchestral concerts in which she often sang Mahler (which suited her admirably) as well as music written for her by her husband Peter Lieberson. Since her death, a number of these live performances have found their way onto CD to supplement her studio recordings, many made under conductor Nicholas McGegan including a 1995 Ariodante which others admire more than I. One unmissable live disk includes excerpts from her sole performance of Handel’s Hercules (including her role of Dejanira complete). “Trove Thursday” offerings can be downloaded via the audio-player above. Just click on the icon of a square with an arrow pointing downward and the resulting mp3 file will appear in your download directory. In addition, Gurrelieder, last week’s Béatrice et Bénédict with Joyce DiDonato and all previous fare remain available from iTunes or via any RSS reader.